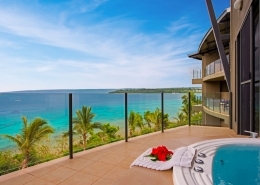 Deluxe Ocean View Apartment now at 30% discount plus lots of inclusions. 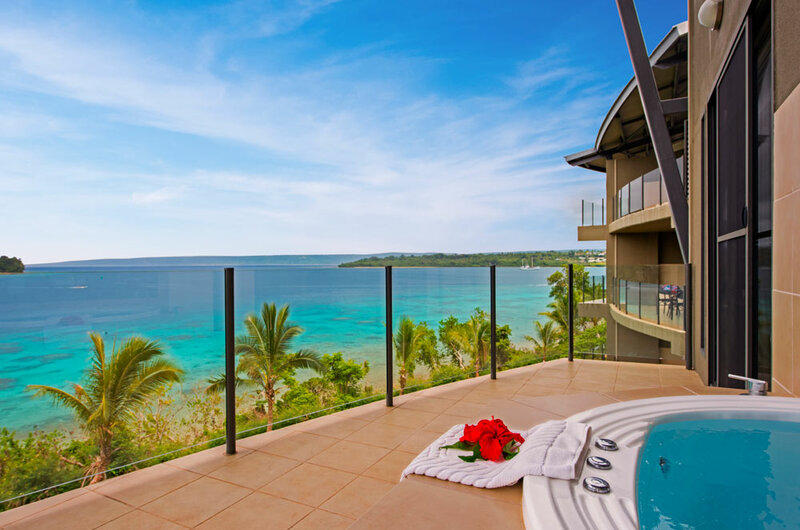 This is an amazing offer for the popular ocean view rooms with sweeping panoramic views of Vanuatu and the opportunity to enjoy incredible ocean sunsets from your private balcony hot tub. 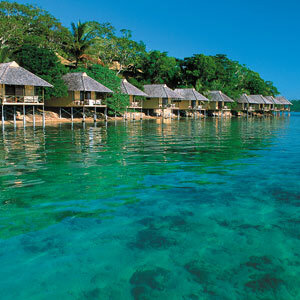 5 night Vanuatu holiday package deal @ Iririki Island Resort & Spa. 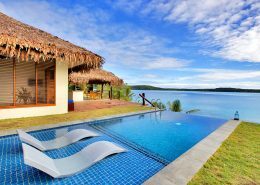 Conveniently located on its own 69 acre tropical island in Port Vila harbour, with a private beach, Day Spa, variety of restaurants and fabulous off shore snorkelling and water activities, it successfully appeals to both couples and families. 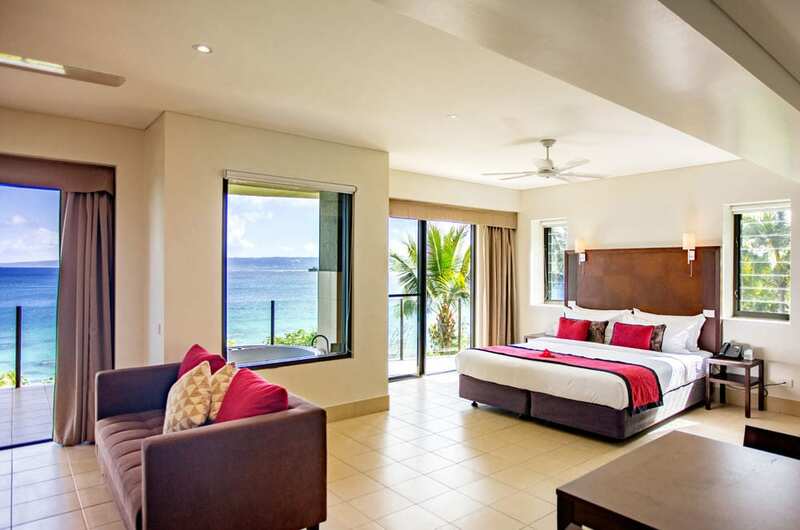 Fully refurbished, the resort re-opened with as new accommodation that includes both Waterfront and Island Fares (bungalows) and Deluxe Apartments and Penthouses. 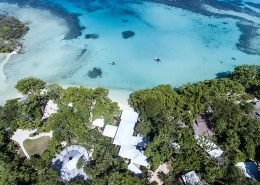 With a private beach, day Spa, variety of restaurants, fabulous off shore snorkelling, brand new casino (Jewel), extensive water activities and a complimentary Kids Club for 3 – 12 year olds, Iririki is a great ‘all round’ resort that appeals to all market segments. 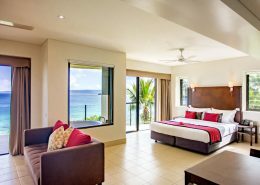 Only 3 minutes from Port Vila via a ferry that operates 24 hours a day, the convenience of this peaceful resort to the restaurants, facilities and day trips offered by the nation’s capital is one of its best assets. Ideally suited to: Everyone !  Valid for travel 01 April to 15 December 2019 (high season surcharges apply). Sale to 30 April 2019. We stayed at Iririki Island for our Honeymoon. My wife and I were blown away by the full service amenities, the friendliness of the staff and the atmosphere of the island itself. The boat runs all night long to go across to the mainland for dinners, dancing or exploring or you can just stay in and relax on the Island. Start packing your bags for your escape to Iririki. *Terms & conditions apply: Valid for travel 01 April to 15 December 2019. 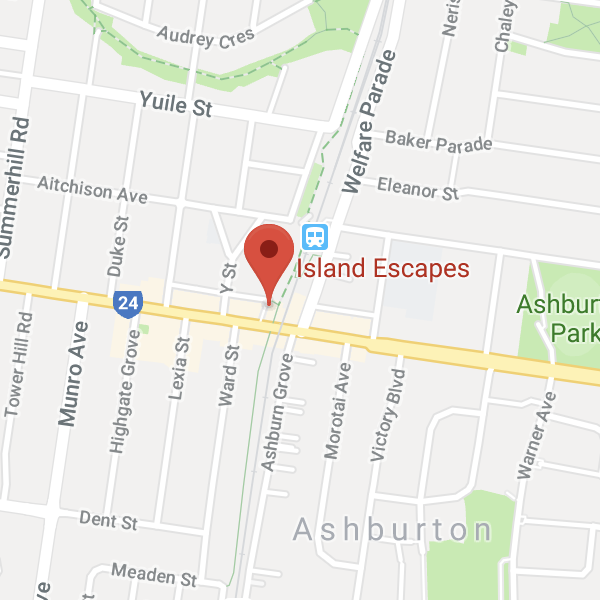 High season surcharges apply. Sale to 30 April 2019. Package based on instant purchase rate, full payment required at time of booking, no changes permitted & no refunds apply. Prices shown are a guide only, based on low season availability & subject to change. 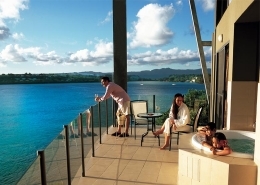 Price per adult, twin share based on Air Vanuatu sale fare, valid for new bookings only. Other conditions may apply.